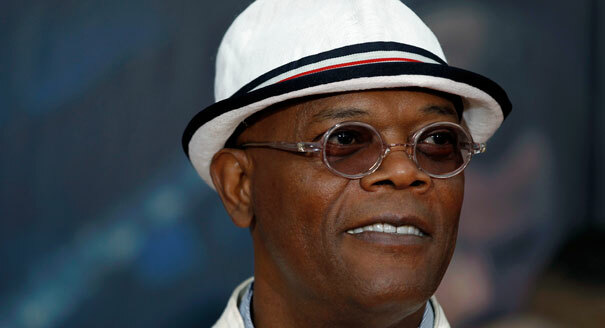 Samuel L. Jackson, Tom Wilkinson Bound For Kong: Skull Island? If Legendary whipped up a storm with its announcement of the franchise-launching Kong: Skull Island at last year’s Comic-Con, then it effectively had moviegoers on the edge of their seats when it confirmed that Michael Keaton and J.K. Simmons were attached to the creature feature. Thanks to Birdman and the excellent Whiplash, respectively, both actors are hot property in Hollywood right now after their astute performances, and it was with a heavy heart that we brought you the news that both Keaton and Simmons exited the studio’s big-budget prequel last month. With a release date pegged for early 2017, Legendary has little time to waste if it is to fill in the vacant lead roles, and according to Deadline’s scoop, the company has its proverbial crosshairs on both Samuel L. Jackson and Tom Wilkinson. Neither is locked down at the time of writing, though, and it’s understood that John C. Reilly is also in contention for a part in Skull Island. Jordan Vogt-Roberts is directing the monstrous prequel from a script by co-writers John Gatins and Max Borenstein. Word has it that Legendary is keen to get the production up and running before the year’s end or, in the more likely scenario, early 2016, leaving a one-year lead time for the film’s hefty visual effects work. Set in the late 1970s, Vogt-Roberts is tackling a distinctive period of history, and it’ll be fascinating to see how his final vision differs from Peter Jackson’s 2005 blockbuster, which was situated in the ’30s by comparison. Barring any scheduling hiccups that forced Keaton and Simmons’ deaprtures, Kong: Skull Island will star Brie Larson, Tom Hiddleston and Straight Outta Compton up-and-comer Corey Hawkins, who are all bound for the foreboding, primordial isle. Kong: Skull Island is set to arrive on March 10, 2017.